Cincinnati College of Mortuary Science provides a comprehensive curriculum that educates students on funeral directing and offers hands-on lab experience. Ever wonder what it's like to try to make a living in the death care industry? Those who study mortuary science, or the study of deceased bodies, can tell you. 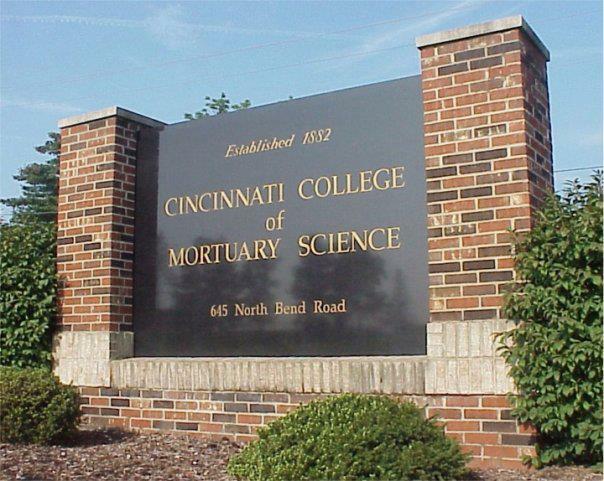 Originally founded in 1882 as the Cincinnati School of Embalming, the Cincinnati College of Mortuary Science is a leader in funeral service education. It provides a comprehensive curriculum that educates students in funeral directing and offers hands-on lab experience. Students learn embalming, restorative makeup and dissecting, and can also earn certification in crematory operations and celebrant training. Here to talk about the funeral industry, the science behind it and how its changed over the years are Cincinnati College of Mortuary Science President Jack Lechner and current student Ben Dollarhide. Also joining us is Cincinnati College of Mortuary Science Adjunct Instructor, Greater Cincinnati Funeral Service Association President and Thomas-Justin Memorial Funeral Home Manager, Jane Ludlow.